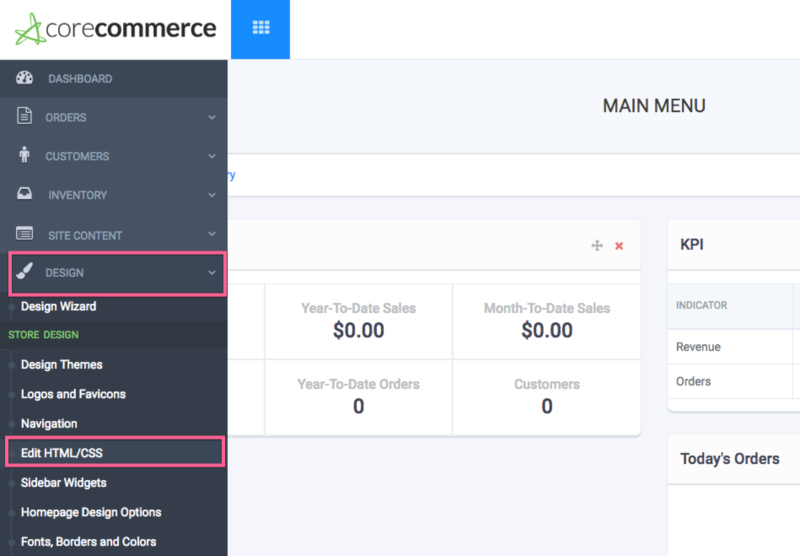 Next, log into your Core Commerce store admin. Then navigate to Design > Edit HTML/CSS in the main menu. Next, under the "Edit HTML/CSS" section, use the file selector dropdown to select the "header.html" file. 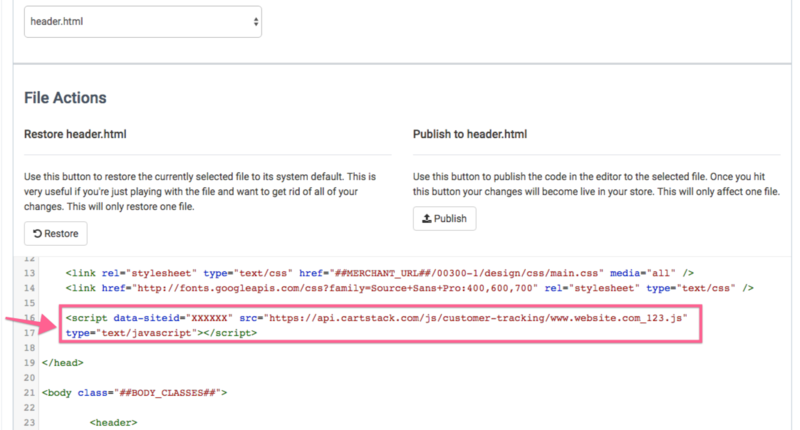 From the file editing screen, paste your CartStack tracking code right ABOVE the "</head>" tag as seen in the below screenshot. 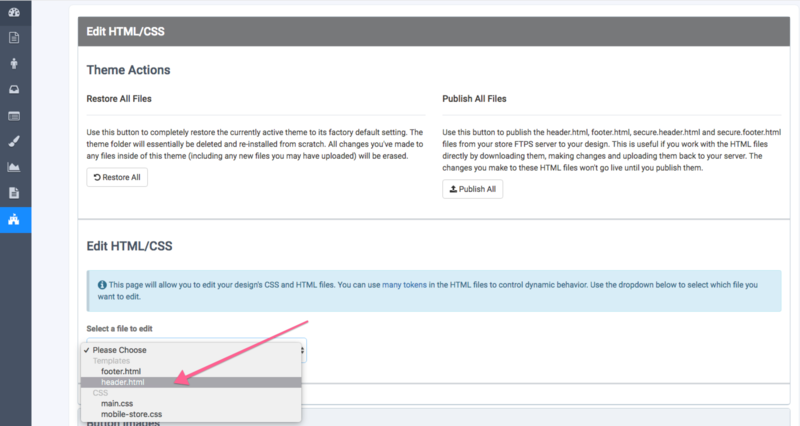 Make sure to save the change by clicking the "Publish" button under "Publish to header.html".